Short for Light Emitting Diode, an LED is a semiconductor device that emits light, or glows, when an electric current is passed through it. The actual LED comes in the form of a chip, see below various types of LED chips available. 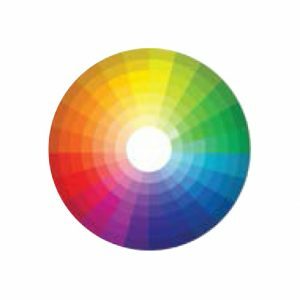 CRI – short for Colour Rendering Index – refers to how effectively an electric lamp or luminaire can display true colour, when compared against a natural light source light sunlight. Light sources with a high CRI are desirable in colour-critical applications e.g. fashion retail or inspection detailing. On this scale of 1-100, Goodlight LED lamps and luminaires consistently achieve 80 CRI or above. For bespoke or specialist applications, we can manufacture products to your exact CRi requirements – in volume scenarios – ask our Projects Team for more information. Lumens measure the amount of light emitted from a light source. Lumens are denoted as Lm. The more lumens a lamp has, the brighter it will be. What is Light Output Ratio? This is the percentage of light emitted from the light source. An LOR of 80 means 20% of the light from the luminaire is lost inside the reflector and light fitting. Due to the longer lifespan of the LED, the updated method of calculating lumen degradation is termed L70 Rated Lumen Maintenance Life. It’s the measure of the hours it takes a lamp or luminaire to reach 70% of the initial lumen output. It is useful when comparing one product against another, as you are able to determine a lamp whose L70 value is 35,000 hours against another at 20,000 hours. In addition, Goodlight products use premium chips which are LM-80 certified. This is the process by which the lumen output depreciates, or degrades and reduces over its lifespan. The lumen depreciation is affected by a number of elements such as the operating temperature, hourly usage and dirt. Generally LEDs perform very well in cold operating temperatures, and this can indeed prolong an LED’s lifespan. As you would expect, heat and or high ambient temperatures can decrease the light output or lifespan of the LED quicker. 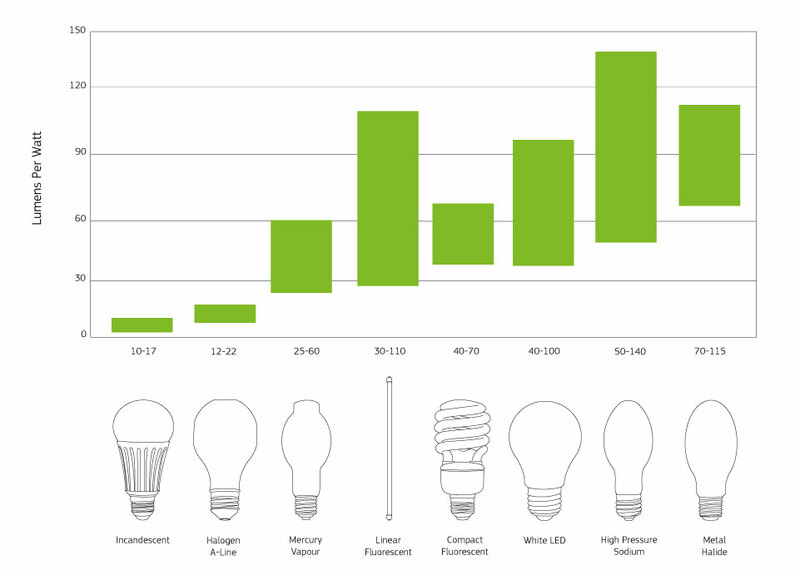 Lumen depreciation varies when comparing different types of lighting technologies, and is accepted to be the lowest on LED as compared to fluorescent, filament or HID. To allow for this, lighting designers use a maintenance factor within their designs which is a percentage value by which the initial lux level will be reduced over time. As a result of this, it is common for installations to be over lit at the start, to allow for the light source to degrade over its lifespan and still provide useful/adequate light levels. Known as the ‘lx’ value, this is the internationally accepted unit of illuminance. It is the measure of the intensity of light perceived by the human eye. One lux is equivalent to one lumen per square metre, and one lumen is approximately the brightness of one candle. Depending on what activity or task is being carried out, there are recommended lux levels for various applications and internal areas of buildings as well as external spaces. Click here for guidance on Lux levels for your building as per the CIBSE (Chartered Institution of Building Services Engineers) Guide for Lighting. Goodlight LED IES files are available to assist in lighting designs to simulate what lux levels can be achieved. This is the ratio of real power to apparent power in an electrical circuit. It is the measure of how effectively the electrical power is being channelled within the product. This can vary massively across LED products in general. 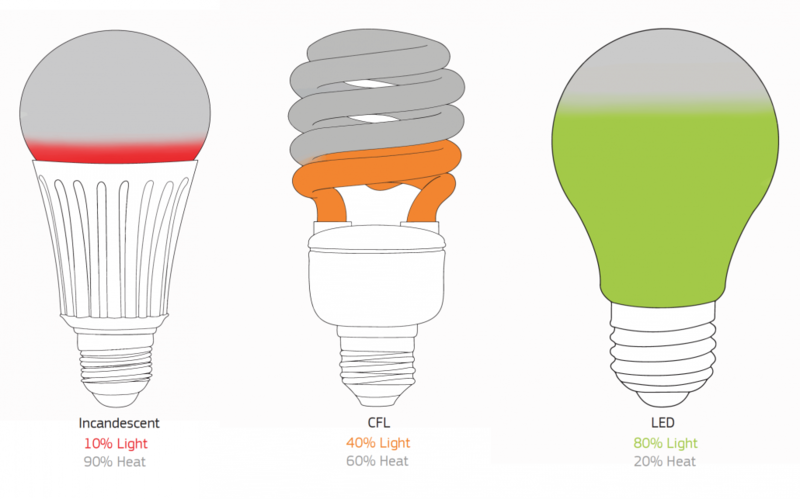 As a guide, the most efficient LED products have a power factor as close to 1 or 100% (meaning 100% efficiency). The closer to 1 or 100% means there is little or no current being wasted in the electrical system. Goodlight LED products have a Power Factor of 0.90 – 0.98, ensuring minimal power losses. What does Thermal Management mean? LED Chips don’t like heat, and it can dramatically affect their performance over time. When heat is allowed to build up within or around an LED lamp or luminaire, it dramatically affects the lifespan and light output, and reduces both. The Goodlight way is to use premium aluminium heat sinks in our LED lamps and luminaires as our first defence. The more high-powered the LED, the more complex the cooling system. 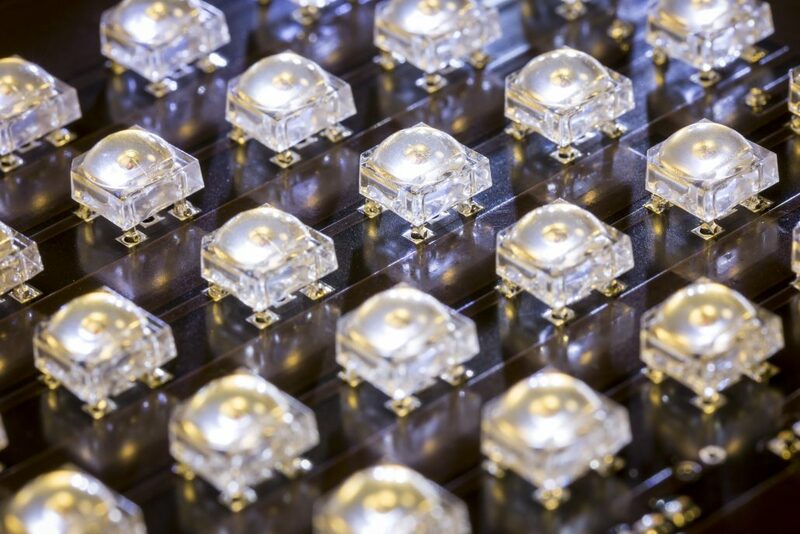 At Goodlight, our product developers continually research new and innovative ways to tackle heat, keep our LED chips cool and ensure optimum reliability of our LED products. Our market-leading G360 LED SON replacement lamps uniquely incorporate MagLev (magnetic levitation) fans to keep them cool, allowing them to be installed into IP fittings. The Goodlight GX1 LED High bay range utilises PCM (Phase Change Material) in a patented Copper Cooling Column, which rapidly and evenly pulls heat away from the LED source, to ensure minimal lumen depreciation, and an ultra reliable LED high bay. Using PCM in this way becomes an active control system, to manage any temperature swings or hotspots. It is the same technology used by NASA for thermal control of satellites and space crafts (and even in garments for astronauts) to keep them cool in space. As the UK’s first company to utilise PCM with LED with excellent results, we love finding new ways to ensure Goodlight LED products are more reliable than any other. This is the exact measure of the CCT rating, or colour temperature of light emitted in Kelvins (K). Goodlight LED products are confined to an area within the Kelvin chart from 1,800K up to 6,500K. Below and beyond these values, the LED can produce more orange or blue light at opposing ends of the Kelvin colour spectrum. For specialist applications, we can produce outside of these CCT ranges. What does Driver Compatibility mean? Choosing the right driver ensures stability, reliability, and smoothness of LED output. The performance of a driver should be considered to ensure reliability of the LED light source. Goodlight drivers are carefully selected from quality suppliers and are rated for 50,000 hours to support our LED lamps and luminaires. Many of our products incorporate our own unique drivers to deliver precise performance. Most of our retrofit LED lamps have integrated isolated drivers, with some relying on external drivers due to little or no space within the lamp itself. Premium drivers such as Meanwell and Tridonic are configured into our high-performance Goodlight LED luminaires, which are built to last. Our LED driver solutions are configured to support additional functionality such as multi-dimmability and emergency battery back-up solutions. What are Lumens per Watt? Lumens measure how much light is being emitted, and watts indicate how much electrical power is being consumed. The lumens per watt measurement determines how much light is visible or emitted from a light source for the amount of energy used. It is the value used to calculate the energy efficiency of lighting, and can also be used when comparing light sources against one another in terms of how efficiently they are delivering the light. Traditional lighting wastes most of its energy as heat, for instance a traditional halogen spotlight produces only 6 Lumens per Watt, whilst the equivalent Goodlight LED Spotlight is 10x more efficient at 66 Lumens per Watt. This is the angle as degree of width that is emitted from a light source, or the angle of the throw of light. LED products with narrower beam angles would include spotlights (typically 15-25 degrees) where focused lighting is usually required. LED flood lights and high bay lighting typically have a much larger beam angle e.g. 120 degrees as they are designed to ‘flood’ a large area with useful light. What is a IP Rating? This is short for Ingress Protection Rating, which classifies the degree of protection against intrusion of dust, water and accidental contact, relating to mechanical and electrical products, enclosures and casings. The IP rating is represented by two digits. The first digit refers to the intrusion protection rating against solid objects (e.g. body parts, dust), whilst the second digit refers to the protection against moisture or liquids. Goodlight LED lamps and luminaires each come with an IP rating of protection which can be found on the product pages of our website, or on product data sheets. 3 >2.5mm Tools, thick wires, etc. 1 Dripping water Dripping water (vertically falling drops) shall have no harmfull effect. Do I have to remove the ballast when retrofitting your LED lamps? Yes. The majority of our range of retrofit LED lamps feature internal LED drivers, and therefore any external control gear (starters, drivers, ECG) is not required. In fact, traditional control gear utilises up to 25% additional energy in the circuit, so this is an efficiency gain also. Where a retrofit lamp is supplied with an external driver this is improve reliability, and you would install the driver provided in place of the original control gear in the fitting. For our lamp guarantee to be supported, all control gear needs to be removed as per manufacturer installation guidelines. Why do I have to remove the control gear in retrofit LED lamp installation? All Goodlight LED lamps are already equipped (usually internally) with LED drivers. The drivers are providing a similar function as traditional control gear used to, and therefore all that is required is a connection to mains power. Goodlight products are supplied with installation/wiring diagrams, to ensure correct installation. Why is lumens output lower than my existing light source? Traditional lamps have a 360 degree spread of light, so light is thrown all around the light source itself. In some cases this is also described as light wastage! LEDs provide a more directional throw of light so you will not need as many lumens. The directional light from an LED lamp or luminaire is more focused, and gives light where you need it most. What colour temperature should I choose? The colour temperature refers to the warmth or coolness of the white light, and is measured in Kelvins (K). Candlelight for example is around 1,800K on the colour temperature chart giving off a very warm (orangey) white, whereas blue sky would fall into a range of 8,000K to 12,000K, and denoted as the extreme of ‘cool white’. Choice in colour temperature depends on the application – who is using the area in consideration and for what purpose. Different colour temperatures will also affect the appearance of the colours of walls, furniture, flooring and objects viewed under that colour temperature. Goodlight LED products fall into three main temperature ranges : 3,000K-3,500K for Warm White, 4,000K-4,500K for Natural White and 5,000K-6,200K for Daylight White. As a guide, we recommend Natural White for offices and retail environments, Daylight White for commercial and industrial spaces and Warm White for ambient lighting, hospitality and residential applications. Ultimately this is driven by comfort and personal choice. Are all Goodlight LED lighting maintenance-free? Goodlight LEDs have a 50,000 hour lifespan and do not require ballasts or control gears, only needing a direct mains connection for operation, which effectively eradicates any additional components that will need to be maintained in the future. Control gear is a likely point of failure with traditional lighting and requires maintenance or replacement. What does a lifespan of 50,000 hours mean? This is the operating lifespan of the LED chips and other key components within an LED product – they can operate to 50,000 hours of usage. All of our Goodlight LED lamps and luminaires are guaranteed for 5 Years – this is not simply a grand claim based on lab testing, it is supported by all of the live Goodlight LED installations that have already exceeded 5 years. How do I get more technical information on your LED products including IES files? If you require technical details, please get in contact with us 01276 691 230 or email sales@goodlight.co.uk and we’ll happily send technical datasheets or IES files to you. Can I visit your LED lighting showroom? Yes, we allow customers to visit our state-of-the-art Goodlight LED showroom. Please book an appointment with a Goodlight Representative. Do you offer an LED leasing scheme? Yes, BrightPlan – our pay-as-you-save LED funding scheme. There is no money upfront as your fixed, monthly leasing cost will be covered by your energy savings with extra left over for your business, every month. Plus, we have flexible terms and every payment is 100% allowable against tax. More details can be found here https://www.goodlight.co.uk/funding-options/ or alternatively, call us on 01276 691 230. Do you offer a lighting design service? Do you offer an LED installation service? As an LED manufacturer, we do not provide installation in-house, however we work with all size and types of electrical installers, and can recommend an installer suited to your project, who is trained to install our Goodlight LED range. Do you offer lighting trials? For commercial and industrial lighting projects, we offer complimentary lighting trials for our products, contact us today on 01276 691 230 or sales@goodlight.co.uk to find out more information. Do you offer energy and carbon saving reporting? Yes, we offer cost and energy savings lighting report detailing potential savings and ROI. Contact our Sales team for more information. Do you offer site survey attendance? How do I find pricing on Goodlight LED products? Our website operates a quote basket system where you add the required product(s) to your basket and submit for a quote. We provide quotations for trade customers and volume project requirements. If you are a residential customer, you can obtain pricing by visiting your local electrical distributor and quoting our Goodlight model numbers for prompt service. You can also send us an email sales@goodlight.co.uk or call 01276 691 230 for more information. Can you help advise on choosing the right LED product for my space? Of course, we will be glad to help. Simply contact us on 01276 691 230, email sales@goodlight.co.uk or submit a call back request https://www.goodlight.co.uk/call-back-request/ and a Goodlight Representative will contact you. Why are Goodlight products more expensive than others I can buy with 5 year warranty? Price is generally a good indication of the quality of an LED lamp or luminaire. The pricing will reveals what grade of components and materials have been used in the design and build of the LED product. Goodlight LEDs are designed and engineered for professional lighting applications, and are manufactured using premium components with high grade components and innovative features to dissipate heat (e.g. Phase Change Technology or MagLev). Products that are cheaper will always use cheaper quality components which will affect the lighting performance, reduce the reliability and life of the LEDs. Its sometimes very easy to detect the quality of an LED product when you can physically touch and feel it. The weight of an LED tube for example will give you an indication of the amount of aluminium extrusion that has been used to aid heat dissipation. If an LED tube is heavier, it is likely that it is using more aluminium which will provide more protection from heat build-up, which will ultimately affect the performance of the LED light source. We also advise to be weary of lengthy product guarantees from companies who have short trading histories as they may be overstating their product guarantees to compete with more reputable, longstanding LED manufacturers. Can I collect the products from you? There is no delivery charge on orders over £1,000. Please contact us for delivery charges on orders below £1,000. If you need to return a Goodlight product, please contact our Returns Department first on 01276 691 230 or email returns@ledecolights.com to detail your return. You will be supplied with a Returns Material Application (RMA) to complete and return to us. Please ensure you provide all the information required on the form including invoice numbers for prompt response. Once we receive your application back, we will issue you with a unique RMA number and labels for the return. Please ensure you include the form and use the labels provided for the return. 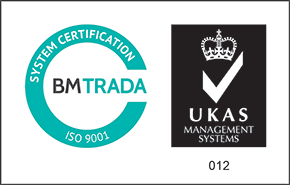 Once your RMA has been processed, you can then claim any credit/replacement applicable. Please note: we take NO responsibility for items that are lost or damaged on their way back to us. We advise customers to package their goods carefully and to use a tracked delivery or postage service. Any items returned without the correct RMA label on the outer package, will not be accepted or signed and result in your return being rejected. If the items you have received are not the ones you ordered, or have been sent in error, please contact our Returns Department on 01276 691 230 immediately. I have a faulty product which has been modified, what do I do? Items that have been modified after they have been purchased or during installation, are not eligible for a replacement and any guarantee applied becomes void, as per the standard terms and conditions of our guarantee. I have received an item that is ‘dead on arrival’ or doesn’t work when first installed. If you receive an item and it is damaged or faulty and you have signed for it as ‘Received in Good Condition’, you must notify us on the same day, for insurance purposes. If you receive an item and it is damaged or faulty and you have signed for it as ‘Received Damaged’, you must notify us immediately or within 5 days. The item in question must be returned in its original packaging for inspection. Once the item has been checked, tested and the fault confirmed, we will issue a replacement. If we are unable to find a fault with the item, we will return the item to you at your cost. My product is still under guarantee and there is a fault with it, what do I do? If you have any problems with your purchase or if any item(s) develop a fault, please contact our Returns Department on 01276 691 230. The item may need to be returned back to us for inspection and testing, after which we will either replace or repair the item at our discretion. Please ensure you include your guarantee registration document for the product. What is an advance replacement and how do I go about this? If you require an advance replacement, you will have to purchase a replacement product, in the first instance. Once we receive the returned goods, they will be processed in the same way, if found faulty we will advise how to claim your credit, if the product is found not to be faulty, we will return the item to you at your cost. Our LED lamps and luminaires are designed with long lifetime in mind. All Goodlight LED products are covered by a 5 Year Guarantee, unless otherwise stated. How does the Goodlight Extended 5 Year Guarantee work? The extended guarantee period for each product is 5 Years from the date of purchase. We will replace any of the faulty products that are found to be defected – totally fails or partially fails. This guarantee covers the replacement or repair of the product, but not any associated costs of installation, maintenance, transport, delivery or consequential loss. Please note that Goodlight products need to be registered for a 5 Year Guarantee. If products are not registered in line with our terms and conditions, the products revert to a standard 2 Year Guarantee. How do I register for the Extended 5 Year Guarantee? To validate your 5 Year Guarantee, you must complete and return a ‘Proof of Guarantee’ form (which can be found in your product’s packaging) from your Goodlight representative within 90 days of purchase. We advise that you keep a copy for your records. By Email – Send to us the completed Proof of Guarantee form to sales@goodlight.co.uk. Once we have received the completed form, and providing that all details are correct, we will authorise the 5 Year Guarantee. Online – Alternatively, you can register your products for a 5 Year Guarantee by visiting here: https://www.goodlight.co.uk/guarantee-registration/. Once we have received the completed form, and providing that all details are correct, we will authorise the 5 Year Guarantee. If the emergency pack is warrantied for a year, does this mean I will have to re-wire in 12 months’ time? No, as the emergency pack contains batteries we can only warrant the product for one year. It is advised to have an annual inspection/testing routine for emergency lighting, at which point batteries can be checked and replaced if not in working order. Can I send feedback about your product? Please submit your question below and a Goodlight Representative will be in touch.